Maxwell House Keurig® Compatible Pods are designed to work with the Keurig® brewing system. Each Maxwell House single serve pod contains 100% Arabica coffee and is individually wrapped to seal in the freshness. A medium roast coffee with a full bodied and balanced flavour made from 100% Arabica beans. A rich, full bodied, naturally decaffeinated coffee which is ideal for breakfast, dessert or anything in between. A classic, medium roast, full bodied coffee ideal for morning, evening or anytime in between. An aromatic treat, this medium roast coffee complemented by rich French vanilla flavours is the perfect accent to your day. *Works with Keurig® K-Cup® and Keurig 2.0™ brewing systems. Not compatible with Keurig Vue™ coffee makers. Keurig®, Keurig Vue™, Keurig 2.0™ and K-Cup® are trademarks of Keurig Green Mountain, Inc. and its related companies. Kraft Heinz Canada and MAXWELL HOUSE are not affiliated with Keurig Green Mountain, Inc. and its related companies. The coffee that started it all. Full-bodied with balanced flavour and a satisfying aroma. Available in 326g and 925g sizes. The legend of Colombian coffee is as old as the bean itself. Intense flavour and aroma. Truly one of the richest coffees in the world. Available in 311g. A beacon of light for dark roast lovers. Start things off boldly. Dark roasting brings out exceptionally rich flavour and aroma. Available in 326g and 925g sizes. Perfect for waking up to. A lighter roasted coffee that is smooth and delicate. Talk about a good morning. 326g. Optimism isn’t just for mornings. A rich, full bodied, naturally decaffeinated coffee which is ideal for breakfast, dessert or anything in between. Available in 311g and 631g sizes. You can have your cake and eat it too. The same rich, full bodied taste and aroma as Maxwell House Original Roast with only half the caffeine. Genius. 326g. It’s hard to decide what’s more enticing – the great taste of coffee, or the warm delicate flavor of vanilla. Don’t try to choose. 311g. Can you smell a sunrise? No, that’s silly. But you can enjoy the exquisite nutty aroma of hazelnut and great taste of coffee whenever you want. Perfect compliment to nuts and chocolate of any kind. 311g. Maxwell House TASSIMO T DISCs are designed to work exclusively with the TASSIMO machine. Each Maxwell House T DISC contains rich, full-flavoured ground coffee and is sealed to protect the precious flavors inside. A satisfying cup of coffee that awakens the senses. A naturally decaffeinated medium roasted coffee, with a full-bodied and balanced flavour. Morning Blend is an aromatic and flavorful coffee that's mild enough to start your morning off easy and strong enough to get you going. Instant Maxwell House Coffee is available in a lightweight, plastic jar. Our plastic jar is more durable, lighter and easier to handle, increasing convenience while helping you to reduce your impact on the environment. The conversion to our plastic jar has resulted in a 9.2 million lb. reduction in packaging weight! A medium roast coffee with a full bodied, balanced flavour and a satisfying aroma. A smooth and delicate blend with a mild flavour and satisfying aroma. A rich and robust coffee with our boldest flavour and aroma. The same rich, full-bodied taste and aroma as Maxwell House Original Roast. Coffee, with only half the caffeine. Each ¾ cup (175ml) serving contains 28mg of caffeine. Naturally decaffeinated using carbon dioxide. Enjoy a rich full-bodied taste and aroma, without the caffeine. 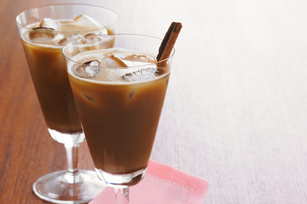 Maxwell House Café beverage mix is a collection of instant specialty coffees that make every day Good To The Last Drop! With exciting varieties to choose from, Maxwell House Café beverage mix has something unique for each of your special coffee moments. Select flavours are available with fewer* calories. In addition to its delicious traditional preparation, try using Maxwell House Café beverage mix in some new and exciting ways! 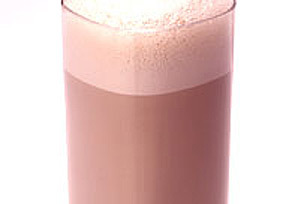 Add 2 Tbsp Maxwell House Café beverage mix, any flavour, to ½ cup whipping cream and beat until stiff. 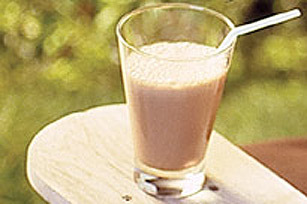 Sprinkle Maxwell House Café beverage mix, any flavour, on top of vanilla ice cream. Stir slightly to mix. 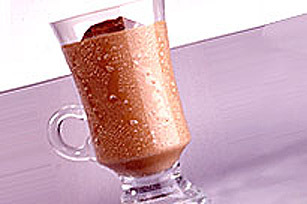 Click on one of the links below for a great recipe featuring Maxwell House Café Instant Coffee Beverage Mix. For more great recipes, please visit www.kraftcanada.com.